The first Apple proposal to move the Macintosh to Intel hardware did not begin with Mac OS X. It began in 1985, shortly after Steve Jobs’ departure from Apple. The project was quickly nixed by Apple’s management, but it would be revived several years later in a joint effort by Novell and Apple to port the Mac OS to the x86 processor. Microsoft released Windows 3.1 in 1992, and it quickly became the best selling program in the industry. 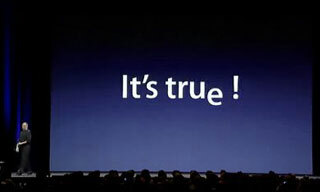 Both Novell and Apple were threatened by the new operating system. Novell feared that the new version of Windows (and especially the pending release of Windows NT) would interfere with its NetWare product, which held a near monopoly in PC networks. Apple was equally threatened. Windows was not as easy to use, but Windows PCs cost less than Macs, and Windows could run standard DOS apps without add-on cards or emulation. Novell began work modernizing Digital Research’s GEM, best known as the graphical environment used on the Atari ST, and turning it into a competitor to Windows. The legal department at Novell got the jitters over the project and had it canceled, fearing that an enhanced GEM would attract a lawsuit from Apple. Darrell Miller, then Vice President of marketing at Novell, made a proposal to Apple CEO John Sculley about porting the Mac OS to Intel hardware. Sculley was thrilled by the offer – he wanted Apple to move away from the expensive hardware business and turn it into a software provider. 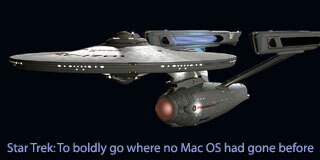 The project to bring the Mac OS to the Intel 486 began on Valentine’s Day in 1992 and was named Star Trek. 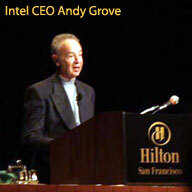 The project was blessed by Intel’s CEO Andy Grove, who feared Microsoft’s power in the PC market. Apple’s leadership gave a deadline of October 31 (Halloween) for creating a working prototype of Star Trek. The group set to work porting the Mac OS to Intel processors. The task was a tedious one. Much of the Mac OS was written in 680×0 assembly code to make the computer faster and use less disk space. All of this code had to be totally rewritten for the 486. Other parts of the operating system were easier – most of the interface elements had been written in Pascal and only required a few modifications. The group managed to meet its deadline and had a functional demo ready by December 1, 1992. Apple executives were amazed to see the Finder run on an ordinary PC. The engineers did more than that – QuickDraw GX and QuickTime were also ported to x86. With the first goal of the project completed, the engineers took a vacation in Mexico, and the management at Apple and Novell began to decide how to complete the project. Unfortunately, John Sculley’s reign at Apple came to an end in the middle of the Star Trek project. The new CEO, Michael Spindler, had little interest in porting the Mac OS to x86 and devoted most of Apple’s resources to preparing System 7 for the PowerPC. The Star Trek project was canceled, and the Mac OS would not run natively on Intel until after Apple acquired NeXT in 1996, which already had an x86-base operating system, NeXTstep. In June 2005, Steve Jobs announced that Apple had been concurrently developing OS X on Intel and PowerPC processors for five years – and that within a year Macs would be based on Intel processors and future versions of Mac OS X would run on Apple’s forthcoming Intel-based hardware.